The staff were very very rude. There was a 2 for £5 on one of the bags and they sed it wasn't in the offer. So the lady who was behind till went and removed the ticket to make out I was lying!! Never going back to the cov store very stuck up and rude! I always find the Cashier MR most helpful, in Hertford Street branch. Your assistant Jo in the Hertford Street, Coventry was so helpful and knowledgeable yesterday. We will certainly to the shop when we need more shoes. You had exactly what we were looking for. 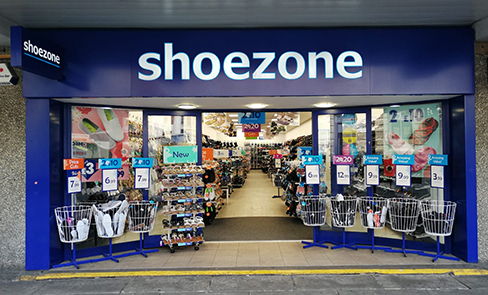 when i shop at shoe zone there is alwayse my kind of shoe that i want also tgey are for a good price also the satff that work there are very wellcoming and helpfull at all times.